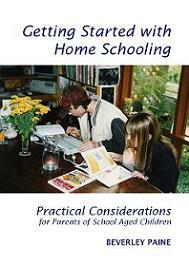 If anyone is ever in any doubt about the legal status of home education in their state and can't be sure from the information provided by homeschooling organisations or friends, then the best thing to do - the most reassuring - is to get a legal opinion - a letter from a lawyer clarifying your legal rights and responsibilities. 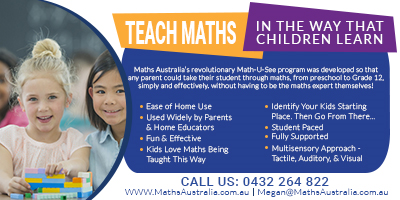 Don't think of it as a hassle - think of it as an educational process! Over the years I've seen many families in the unfortunate situation of being continuously harrassed and bullied by schools and over-zealous education authorities, and those that have finally sought legal advice and representation find that the presence of a lawyer or letter is often enough to make the bullies back down. In South Australia in the past it seemed customary for the authorities, when they weren't 'happy' with an application for exemption, to refer the case to Family and Youth Services, and they'd look for neglect or abuse... usually absent of course! FAYS would hand the case back to the education department and often a compromise would be hatched. All too often the harrassment was enough to convince the family that they couldn't homeschool and they would end up sending the children back to school. I've also known families that decide to move interstate. I don't recommend this as an option because no matter where you go there is always a regulatory body that you will eventually need to negotiate with. 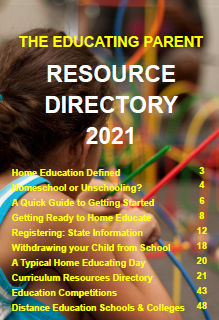 There are thousands of homeschoolers in all states who aren't 'registered' or 'exempted' or 'approved'. The authories are aware of this. 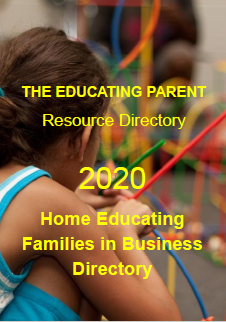 At the present time (2007) the offices overseeing home education approvals are short-staffed and overworked and find it difficult to processs new and continuing registrations, particularly at the end of the year. In some states they seem more inclined to talk families out of homeschooling rather than add to their workload. The best way to handle the situation is to KNOW your legal rights and responsibilities - read the relevent Acts and regulations - and then weather their bluffs or get legal help straight off. Read the other articles in this category on the Homeschool Australia web site. 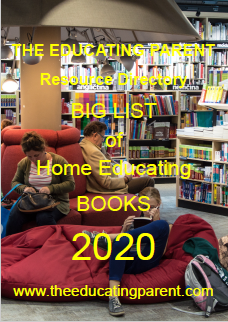 The best way to prepare for home education - with or without approval - is to write your own curriculum or learning plan, start recording your children's educational progress, and keep a social 'diary' or scrapbook. Date all entries, and mark on a calendar the days your children learned at home - the equivalent of a school roll book. Some families will tell you it isn't necessary to record, or that it's too much bother, but as a newcomer it is the quickest way to build confidence in your home learning experience. It is also a legally acceptable record of your homeschooling provision, adequate to prove to a judge in court, that your children are being appropriately educated. The few cases that have made it to court have tended to be family separation custody cases, where the parents can not agree on, among other things, the education provision for the children. Always try to act like a professional educator (because you are one) and the officers dealing with your application will feel less inclined to treat you as just another parent in the classroom. 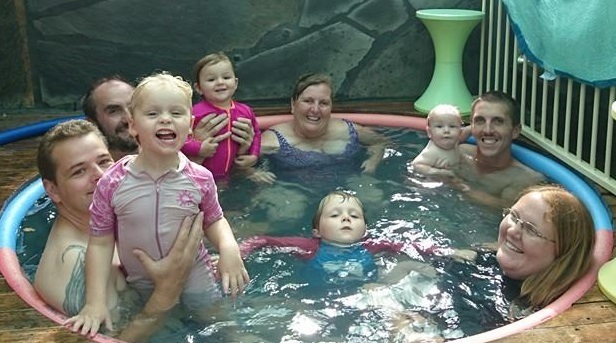 Vanessa is a mother from South Australia who had considerable trouble obtaining approval to educate her childrne at home. 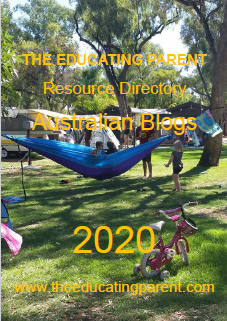 "I am in SA and when we began homeschooling someone from the Education Department used the mandatory reporting legislation to make allegations of abuse against myself in regards to our son (but not our daughter, who we also began homeschooling at the same time). We sought legal advice from our lawyer and also from the lawyer at Light Education Ministries, who put us in touch with a civil liberties lawyer. This person gave us excellent advice and support and was prepared to come to court for us if necessary. Some things we were told to do were so that if we were made to appear in court we would have covered all our legal requirements extremely well, and the judge would usually say that his time was being wasted and toss it out. 1. 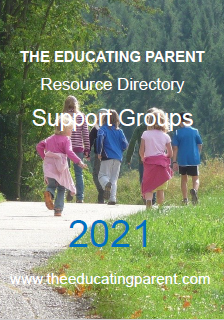 Keep a separate home school diary for all planned home school social outings. Judges want to know you are not isolating your children. If you have to present a family diary you are giving them more information than they can legally access and they could then use any of that information against you. 2. Keep a record of all the days you do school work. I have an A3 sized planner in my folder. I use a highlighter pen to record every day we do school work even if we go on an outing even if it is on a Saturday or Sunday. If I may use it later as a reference, it is school related and countable. I write "school day" over the highlighter colour. This was something the civil liberties lawyer said was of the highest value. 3. I do keep a record of work we actually do, in retrospect. It is more accurate. 4. I keep a record of my planning for each topic or area on a pro-forma I made up that suits me. 5. Date everything.... the work the children do, my planning, letters sent and received..... we use a date stamp. 6. No communication by phone. Everything in writing and when you send them something let them know you have kept a hard copy yourself and if you are seeking assistance of a politician or anyone else indicate on the bottom where you are sending other copies. The power base shifts when they know you have other people supporting you! They will not put in a letter anything that is not enforceable by law. So if the intimidation is by phone, stop talking and politely ask them to put it in writing so that you can get your own private legal opinion. And do get that opinion and follow the lawyer's advice! It lets them know you have backup as often they will try to intimidate women and it helps you feel that you have support and options. 7. Send any communication by registered post so they have to sign for it and you will be notified that the addressee has received it and on what day. Keep that slip you get back in case you need to prove you sent something. This prevents them from saying that you haven't given them this or that and "accidentally on purpose" loosing something you have sent and trying to lay responsibility on you. It is empowering to be able to say "That's strange, I have this registered post slip that says you signed for it on this date". 8. We now have an advocate who attends any meetings who is an uninvolved third party that takes notes as an independent record. This prevents "he said, she said" which lacks proof. 9. I am married and the lawyer advised that my husband should be present at every meeting, and it has been amazing how much differently they speak and act when he is present. It can be a pain and costs us if he needs to refuse a job/shift to be there but it has been important. If you are not married, a friend or relative attending with you to act as support for you may help your comfort and confidence levels. 10. All meetings should be out of your home. We have them at the Education Department's meeting room. In extreme cases if they turn up on your doorstep, politely refuse entry. If a police officer is present and has a warrant, the police officer only can enter to act according to the warrant. But you are able to telephone your lawyer asking him/her to give you advice or come to ensure your rights are protected. By following this we were able to prove the allegations were without evidence, gain the first exemption and we have just had our first review and we were told our summary and presentation was extremely professional and complete. It has made me so much more confident to have guidelines to follow that eliminates their power to cause me extra stress. I am also so much more comfortable knowing my legal rights and responsibilities. Also they are not the department's supposed guidelines but the legal ones which would assist me in a court of law, therefore my motivation is different. From my understanding of the law (in South Australia), Principals play no part in an application/exemption to home school, therefore their opinion/actions have no relevance, it is only intimidation factor. Politely refuse to participate. Ask the Principal to put his/her issues in writing and just file it. If threats of action are made, seek legal advice quickly. Don't think it will just go away. You could ask your lawyer to write a letter demanding that the Principal stop harassing you and he should list the laws that give you the right to homeschool. Light Education Ministries, based in Canberra, have a booklet or booklets that list the appropriate laws of each state. It costs a small amount but you may find it useful to have a copy of what impacts you. It was a boost to my confidence to know what the law said and to have it in a hard copy to re-enforce that in meetings or in responding to issues with the department. If you have evidence that proves that your children are doing work and you are able to show that with records of actual work completed, you are able to easily prove your children are not truant from school as they are being schooled at home and therefore the truancy law is nor relevant either. It is confusing for the poor things, but eventually they understand that there are laws to protect our decision to home educate our children."